What if they are on three different messaging apps? If knowing your customer is the first step in running a successful enterprise, then know this: Whatever business you are in, your customer is mobile and chatting with friends and colleagues all day using messaging applications. Over time, your customer will expect to find out about deals and make purchases without having to leave those apps. Business-to-consumer communications are in a period of upheaval, as businesses scramble to reach customers where they are, rather than making the customer go out of their way to seek out the products and services they want. Mobile messaging apps are where the customer is today. And while some businesses have found success engaging their customers through chat apps, others are still struggling. This is because consumers are flocking to all kinds of new communications channels, and each channel not only offers its own features and services, but also has its own unique style. Businesses have been lacking a single platform that brings all of these channels together, with analytics that can shed light on how consumers use chat applications and what approaches are likely to be successful. App-to-consumer communication is still a fragmented landscape for businesses, and it’s easier than you might think to end up annoying the consumers you are trying to engage. However, there are certain approaches that make the world of A2P (application-to-person) customer engagement easier for businesses to navigate, regardless of the channel—messaging app or SMS messaging. Consumers have a short attention span when it comes to interacting with brands, so it is important to know as much as possible about the customers you want to reach before approaching them in any channel. Take a close look at your first-party data and get a sense of how your business already engages consumers. How does your business first touch the consumer? How do you learn more about their individual preferences? What style of communication do your customers seem to prefer: messaging apps, SMS, email or voice calling? These are important issues to sort out before launching a new engagement initiative. The answers to questions like these inform the decision about which chat apps your business might want to target and what the best technique might be to get the consumer’s attention. But the same kind of analysis must be done on which channels your customers use and how they use them. As new channels continue to proliferate and attract more users, it becomes more difficult for businesses to keep track of them all and to learn how their customers interact with each other and with brands in each individual channel. This is why, over time, the need for a channel-agnostic platform with comprehensive analytics will only grow. Before diving in, it’s also helpful to look at what has worked well for other businesses and what has not worked. Many failures come from not understanding the customer’s preferences clearly enough. Retailers, for example, have spent millions of dollars developing mobile apps that link consumers to deals, but the usage rates among the people who download these apps drop below 20 percent over several months. 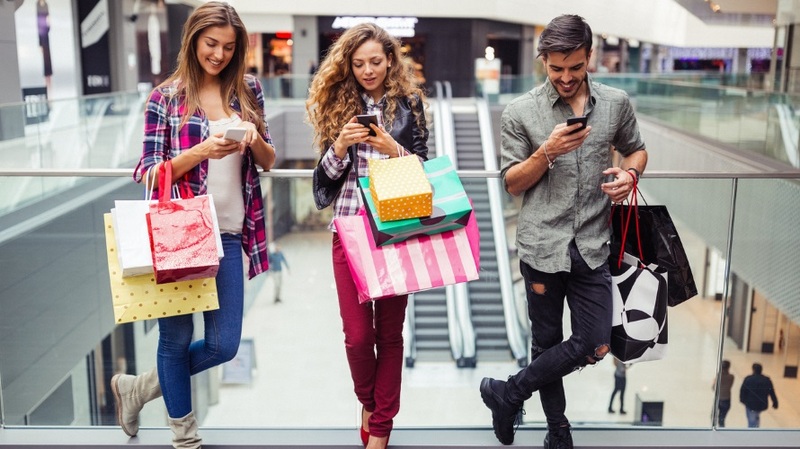 This would suggest that retailers should be using SMS, push notifications or other means to reach their customers, as consumers are showing that mobile apps of this kind do not appeal to them. Using the wrong communication style for various types of messages is the type of misstep that annoys consumers. For example, a retailer who has made a sale by successfully touching a consumer via a messaging app can still irritate a customer if they use the wrong type of communication. When the customer’s package arrives, this is time-sensitive information that is best delivered with SMS. The receipt for the purchase, which is less time-sensitive, is probably best sent by email, so the customer is not distracted by a sudden text message on a matter that does not need immediate attention.